If you have been looking for natural home remedies to cure gastritis, then you’re in the right place! Fortunately, there are a lot of remedies that you can prepare at home to get rid of the unpleasant symptoms of the gastritis. Gastritis is a widely spread disorder, that afflicts millions of people and that, if not treated properly, may lead to ulcers and even tumors. Gastritis is an inflammation of the stomach lining and can be chronic or acute (short-term) in form. Some symptoms of gastritis may include: bloating, nausea, abdominal pain, burning feeling in the stomach, indigestion, hiccups, loss of appetite, diarrhea. The main causes of gastritis are: stress, the use of some medications (like anti-inflammatory drugs or aspirin), alcohol, smoking, infections caused by viruses or bacteria (Helicobacter pylori), chronic vomiting, bile reflux or drinking too much coffee. If not treated, gastritis may increase the risk of developing ulcer or cancer. Doctors often prescribe antacid drugs to cure gastritis, or antibiotics if it is caused by bacteria. Once an infection has been excluded, there are some very effective natural home remedies to cure gastritis. 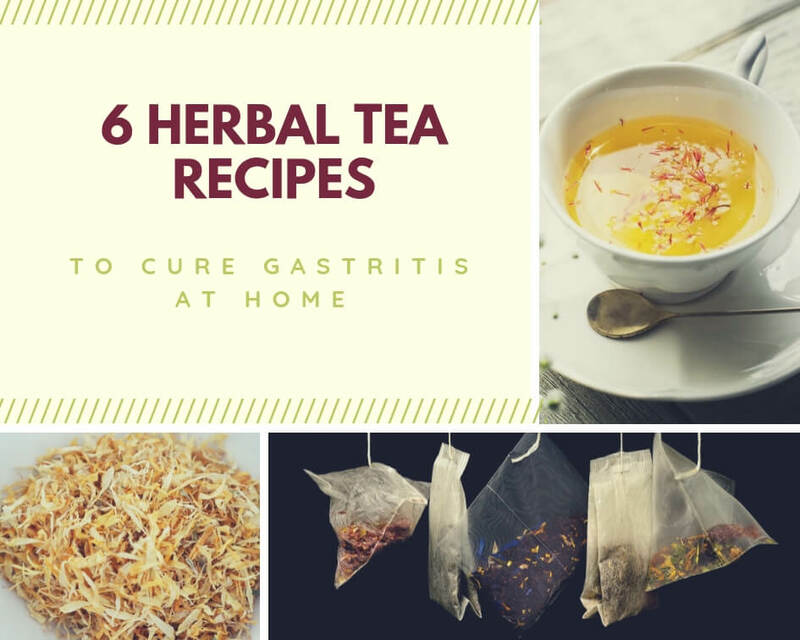 I myself suffered for years of gastritis and, after researching and trying different remedies, I would like to show you a collection of herbal teas to make at home to soothe the distressing symptoms of gastritis. Have you ever smelled acacia blossoms? The scent is simply delicious! Did you know acacia flowers can be used for cooking too? It feels like eating the spring! 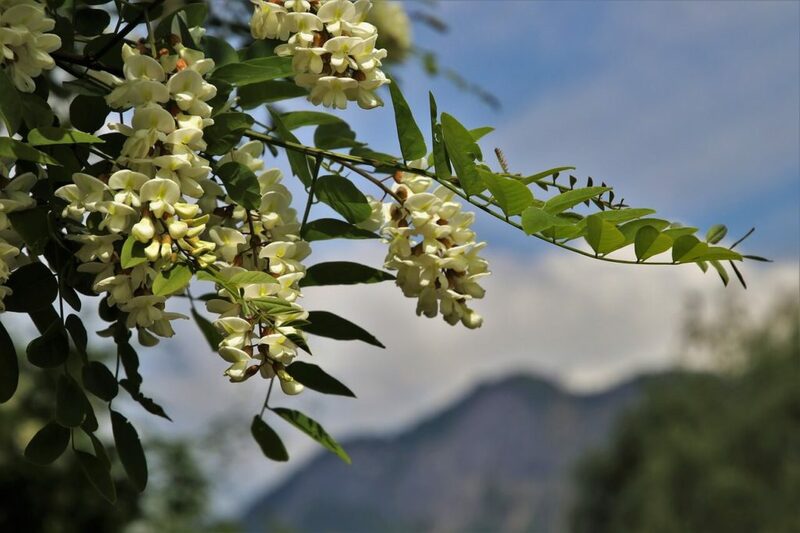 Yet the main value of acacia flowers are its health benefits. Acacia is mainly used to cure digestive disorders, thanks to its anti-inflammatory, astringent and antiseptic properties. 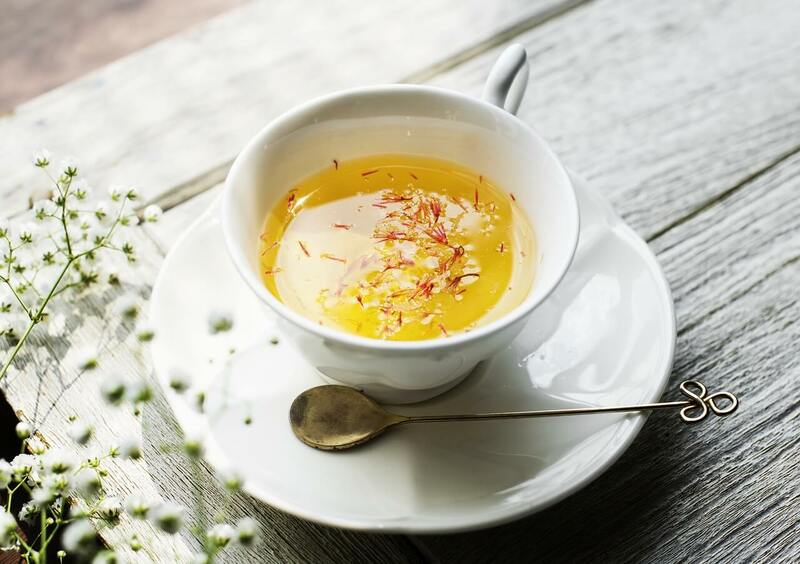 Acacia flower tea may be helpful either to soothe gastritis, characterized by hyperacidity, or to fight chronic gastritis featuring pain symptoms. 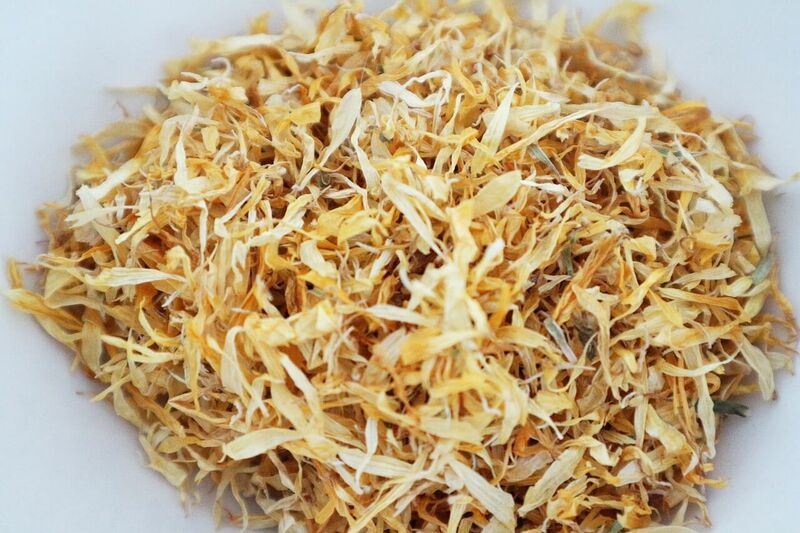 Steep 2 teaspoons of dried acacia flowers in a cup of hot water for ten minutes. Filter and drink 2 times a day between meals. Raspberry is a very precious fruit. It isn’t just the fruit which is loaded with countless health benefits, but also its leaves are a true source of wellbeing. 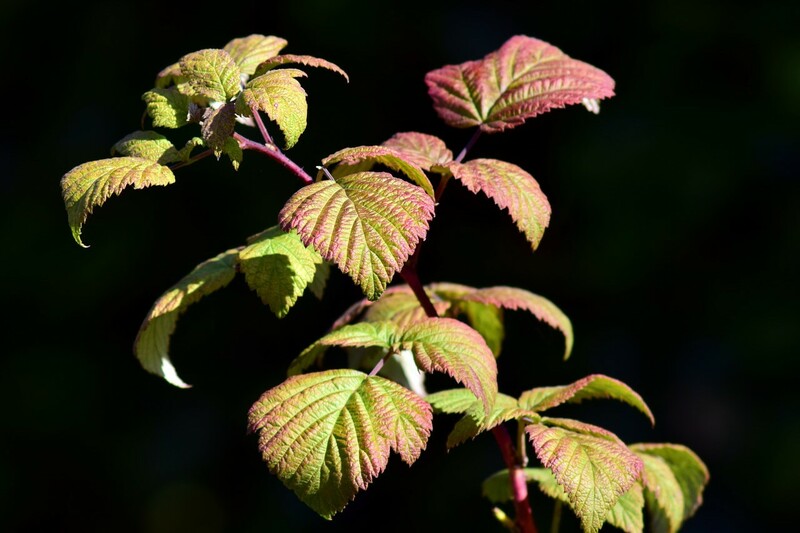 Besides being extremely beneficial to pregnant women, as they boost both the cardiocirculatory system and the immune system, red raspberry leaves have anti-inflammatory properties and are suggested to soothe digestive disorders. Steep a spoonful of dried red raspberry leaves in a cup of hot water for ten minutes. Filter and drink 2/3 times a day. 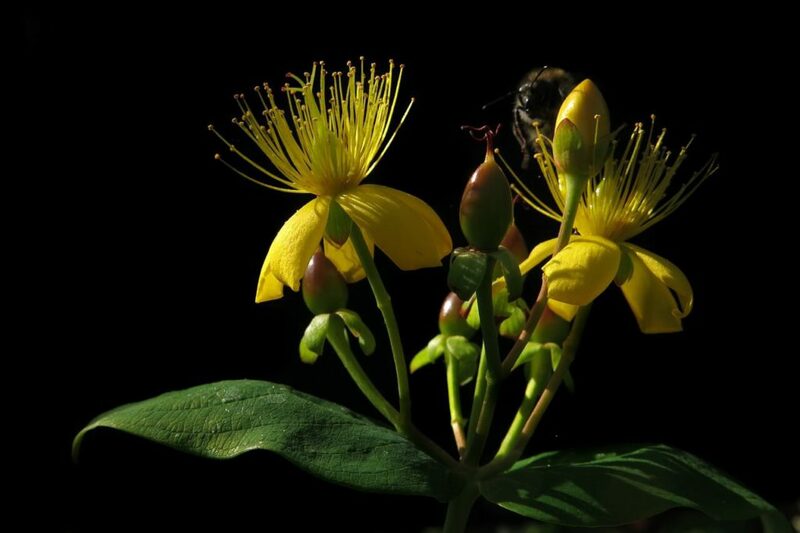 Hypericum is also known as Saint John’s wort and is famous for the benefits it gives in case of stress, depression and anxiety, as it boosts serotonin production. Yet hypericum (not just the flowers, but the whole plant) has valuable anti-inflammatory properties, and this is the reason why it is a good remedy in case of gastritis or gastric ulcer. Still you have to be extremely careful if you want to use hypericum as a natural remedy, because it may interact with lots of medications. What is more, it is not recommended in pregnancy and breast-feeding. Put 2 teaspoons of dried hypericum in a cup of hot water. Cover and let sit for 10 minutes, then filter and drink 2 cups of hypericum tea a day. Valerian root, peppermint leaves, dandelion (whole plant) – antiseptic and spasmolytic effects. Mix all of the ingredients together. Put 2 teaspoons of the dried mixture in a cup of hot water. Cover and let sit for about 10 minutes. Filter and drink 2 cups a day. Lemon balm leaves – spasmolytic, antiseptic and carminative effects. Mix all of the ingredients together. Put a spoonful of the dried mixture in a cup of hot water. Cover and let sit for about 10 minutes. Filter and drink 2/3 cups a day. 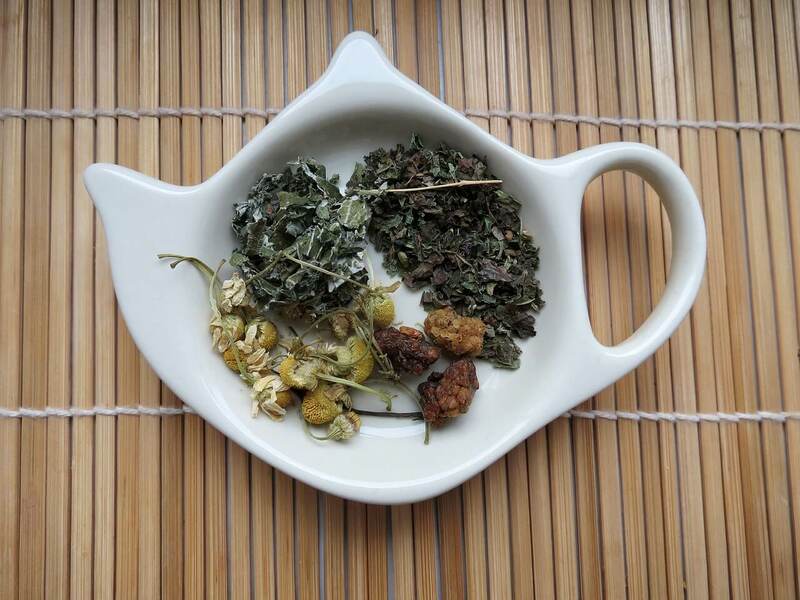 Mix together 2 gr of Helichrysum flowers; 5 gr of Valerian root; 5 gr of Gentian root; 10 gr Calamus root; 10 g Centaurium erythraea (whole plant); 10 gr cumin seeds; 10 gr of anise seeds; 10 gr of fennel seeds; 10 gr of chamomile flowers; 15 gr of mint leaves; 20 gr of Achillea blossoms. Put 2 teaspoons of the dried mixture in a pan with 2 cups of water. Cover and boil for 5-10 minutes. Filter and drink one cup of hot anti-inflammatory herbal tea half an hour before meals. Thank you for reading and if you find this article useful, please share it with your friends and leave me a comment. I would really appreciate it! Stay healthy! Some fantastic tips! I learnt a lot. I love a good natural remedy.